Want to know which state capital's name means "a good place to dig wild potatoes?" Or which cities in the United States were almost called Pig's Eye, Pumpkinville, and Algebra? We've traced the strange and fascinating histories behind each state capital's naming process. 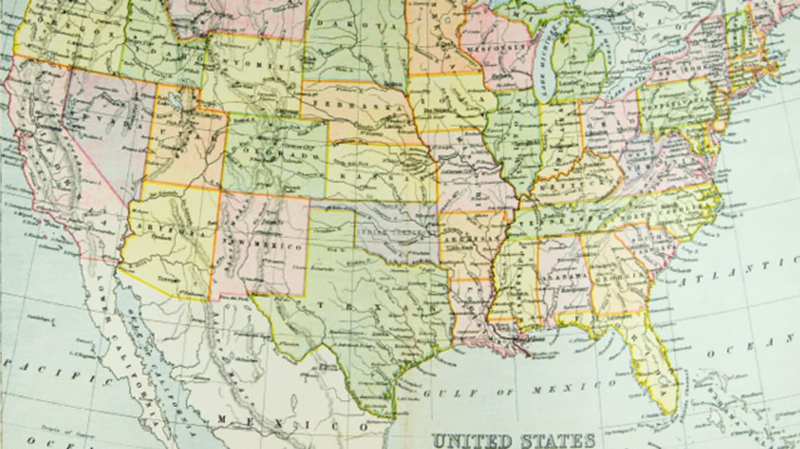 Read on to find out how all 50 state capitals got their names. Founded in 1819, Montgomery is named for General Richard Montgomery, a Revolutionary War officer killed in the attack on Quebec. Though Montgomery passed away nearly 45 years before Alabama’s capital was established, he was thrust back in the news in 1819 when his home state of New York successfully convinced Quebec to return his remains. It's unclear why a Southern settlement decided to name their city after a New York war hero, though the fact that several of the settlement's original founders hailed from New England may have played some role in the decision-making. In a strange coincidence, Alabama’s capital is located in Montgomery County, but though city and county share a moniker, they're named for completely different people. While Montgomery city is named after Richard Montgomery, the county is named for Major Lemuel Montgomery, who died in 1814 while fighting the Creek Indians under Andrew Jackson. In a final twist, historians now believe the two Montgomerys may have been distantly related. Denver was founded in 1858 by William H. Larimer, who chose the city's name to honor Kansas Governor James W. Denver. Larimer hoped to impress Governor Denver enough to get the city named county seat but, unbeknownst to Larimer, Governor Denver had already resigned by the time the town was named. Slightly miffed at the name change, Wilson Lumpkin told anyone who would listen that the name "Atlanta" still honored his daughter Martha, whose middle name, he explained, was the similar-sounding "Atalanta." Martha, meanwhile, dismissed her father's claim, calling the similarity to her middle name no more than "a very peculiar coincidence." Topeka likely means “wild potato,” or possibly “a good place to dig wild potatoes,” in Shawnee. But Topeka’s founders didn’t know that when they named the town in 1854. They just thought Topeka was a unique name, and that it had a nice ring to it. The name was proposed by one of the city’s founders, Reverend S.Y. Lum, who claimed it was “a name not found in the list of post offices in the United States, nor in any lexicon of the English language. It was novel, of Indian origin and euphonious of sound." The name was immediately popular with the other city founders, who liked that it was easy to pronounce. Augusta was once part of a larger settlement, called Hallowell, but split off to become its own town in 1797. Initially called Harrington, town officials requested that the name be changed to Augusta less than a year after the new town was founded. Apparently, Hallowell residents wouldn't stop teasing the people of Harrington, calling the town "Herringtown" after the pungent fish. But while the rationale for Harrington's name change is clear, the origins of Augusta are unknown: Some believe the city was named after a previous settlement, destroyed by Native Americans in the 18th century. Others think Augusta was named after Pamela Augusta Dearborn, the daughter of Revolutionary War officer Henry Dearborn. Still others think Augusta refers to Caesar Augustus, who founded the Roman Empire. Dubbed "Providence" by the Puritans, Annapolis was renamed in 1694 to honor Princess Anne, heir to the English throne, and later Queen of England. To this day, Queen Anne’s royal badge, with a crown hovering above entwined thistle and rose (symbols of Scotland and England), appears on the Annapolis flag. Originally ruled by the Dutch and called Beverwyck, Albany was taken over by the British in 1664, along with other Dutch lands in North America. King Charles II gifted a broad swath of territory to his brother James, the Duke of York and Albany. Once under British control, Beverwyck was renamed Albany in James’ honor. Before either the Dutch or British took over the region, the area was called Pempotowwuthut-Muhhcanneuw, meaning "the fireplace of the Mahikan nation," by the Mohicans.